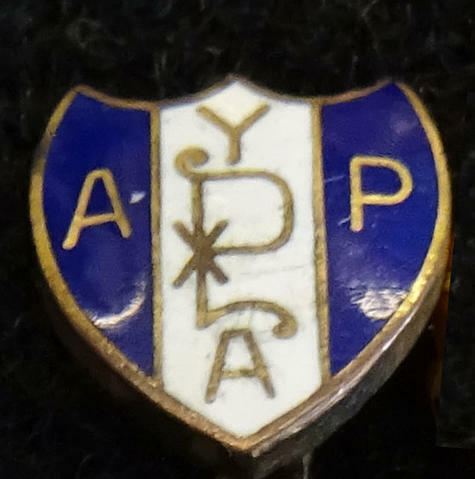 Pin of the Anglican Young People's Association, part of the Walter Reeves, Town Constable collection. The Anglican Young People's Association was devised by the Anglican Church for its younger members. There was a branch of the Association based on Canada, and began in 1902.